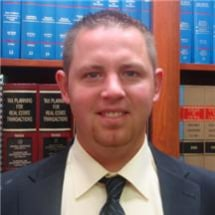 Attorney Ivan E. Miller is from Eldora, Iowa, and he graduated from the University of Iowa with degrees in Political Science and Philosophy in 2008. Ivan then attended Drake University Law School where he graduated in 2011, and was admitted to the Bar of the State of Iowa in September 2011. While in law school, Ivan clerked for Chief Judge Kurt L. Wilke in the 2nd District of Iowa in Fort Dodge. Ivan then interned in the Tama County Attorney’s Office, where he gained trial experience and a passion for criminal law. After that, Ivan clerked for Attorney Peter Berger located in Des Moines Iowa. Ivan joined the law office of Billings & Mensen in 2011, and he practices in Real Estate, Probate, Tax, and Criminal Law. Based in Red Oak, Billings & Mensen represents clients throughout southwest Iowa, including Shenandoah, Red Oak, Atlantic, Clarinda, Stanton, Glenwood, Council Bluffs, Villisca, Emerson, Malvern, Griswold, Essex, Corning, Oakland and Sidney, and the surrounding areas of Montgomery County, Mills County, Cass County, Page County, Adams County, Pottawattamie County and Fremont County.